The polling firm asked: "Do you wish the candidates who run for Congress this year will be more or less like Bernie Sanders?" A full 57 percent of Democratic respondents said "more like Bernie Sanders" in response. Sixteen percent said less while 27 percent responded "not sure." Not surprisingly, Sanders was less popular with conservatives. Only 13 percent of Republicans said they wanted candidates to be more like Sanders, while 74 percent said less. Independents were split. Twenty-seven percent said more like Sanders, while 35 percent said less, and 38 percent said "not sure." The survey from YouGov interviewed 1,500 U.S. adults from July 8 through July 10. It had a margin of error of plus or minus 3 percentage points. A number of Sanders-style candidates have already found success after his 2016 bid fell short. 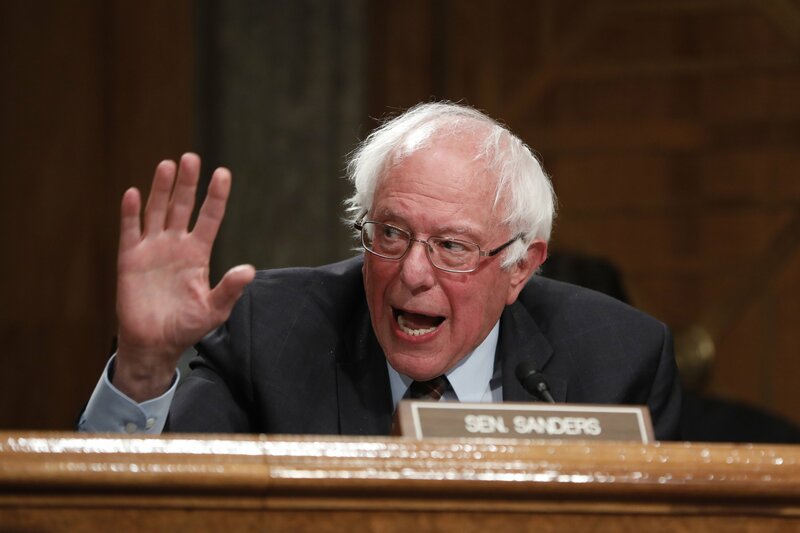 The Vermont senator's grassroots campaign garnered momentum by eschewing corporate donations, railing against Wall Street and condemning the vast income inequality in America. As The Independent reported, progressive candidates backed by Our Revolution—the group that was sparked by Sanders's campaign—have made great strides and won races in primaries. There was perhaps no win as surprising and important as democratic socialist Alexandria Ocasio-Cortez beating longtime New York congressman Joe Crowley. She relied on a straightforward message of supporting working families and has since won much support on the left. "Starting off the campaign, I didn’t know everything I was getting into, but I knew the kind of campaign that my opponent was going to run: a standard DCCC [Democratic Congressional Campaign Committee], corporate Democrat campaign," Ocasio-Cortez told Jacobin magazine in an extended interview. "Usually those campaigns don’t focus on the field. I was coming into this race with a background as an organizer. From the beginning, I was always focused on organizing people, building a coalition, and deepening that coalition with other organizers. The campaign was almost entirely focused on physical organizing and digital outreach to reinforce that physical organizing."